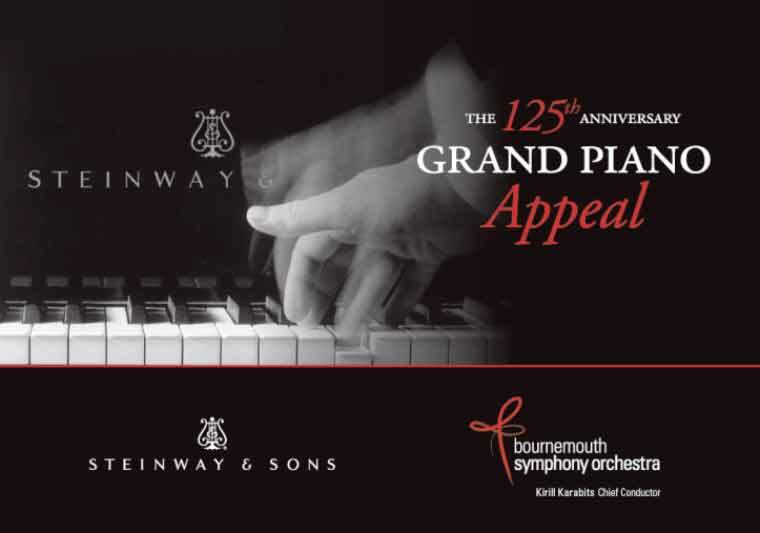 As the BSO approaches an important milestone in the Orchestra’s history, February sees the launch of the 125th Anniversary Appeal to raise the £125,000 needed to purchase a new Steinway Model D grand piano. As an orchestra of national and international importance, it is essential for the BSO to have a grand piano of exceptional quality for the world’s greatest pianists to rehearse, perform, broadcast and record on. In recent years, the Orchestra has invited internationally renowned pianists to perform on stage at their home at Lighthouse, Poole and in concert venues across the region; including Yulianna Avdeeva, Imogen Cooper CBE, Angela Hewitt, John Lill CBE, Stephen Hough, Sunwook Kim, Simon Trpčeski and Lars Vogt. The BSO acquired its current Steinway Grand Piano in 2002, selected by eminent British pianist John Lill CBE. Whilst the BSO’s Steinway has been well cared for and is in very good condition after 14 seasons, it is approaching the end of its life as an instrument fit for the demands of a professional orchestral performance schedule. Donate a ‘String’ with a gift of £100.